When we first heard that Ubisoft were going all retro on us with STEEP, we got pretty damn excited. What could be better than being whisked back a few decades to enjoy the old-school vibes of the 1990s, all whilst tearing it up in the X Games? Imagine the disappointment when instead the arrival of the STEEP X Games Edition failed to bring that look back at yesteryear which we all wanted. Well, be disappointed no more because that promise is now coming to reality with the arrival of the STEEP – 90s DLC… finally. Available right now on Xbox One comes the latest addition to the STEEP world, that of some 1990s DLC. 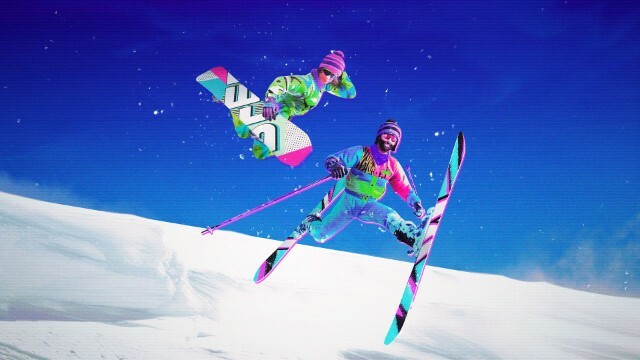 Priced up at just £3.99, or included in the STEEP X Games Gold Edition or X Games Pass, this little content pack provides all the necessary add-ons to see our game comes across as the ultimate 1990s winter sports title. Expect new music, expect plenty of tricks, and expect some proper old school customisation opportunities from back in the day. As we mentioned in our review of STEEP X Games, it would have been nice to have seen this included from the get-go, especially taking into consideration the lack of content that the new edition managed to deliver, but hey, at least it is now here and ready for action. If you wish to see yourself transported back in time to the 1990s in order to get your neon action moving, then the Xbox Store will sort you out with the content. Don’t forget to check out our reviews of the base STEEP game, or that of the X Games Edition too.